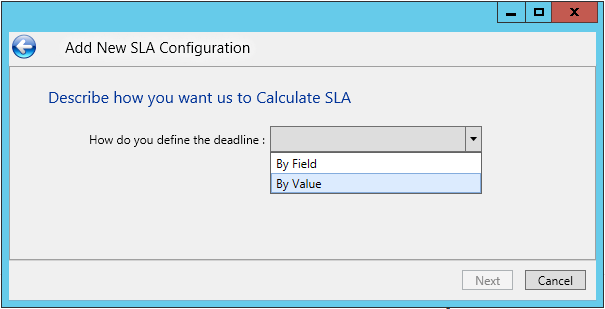 Note: In order to configure Escalation rules you will need to useTFS SLA Client! TFS SLA gives Organization (especially with out-sourcing developers) the ability to have powerful SLA (Service Level Agreement) to adhere the agreements with customer, vendors or outsourced development team. 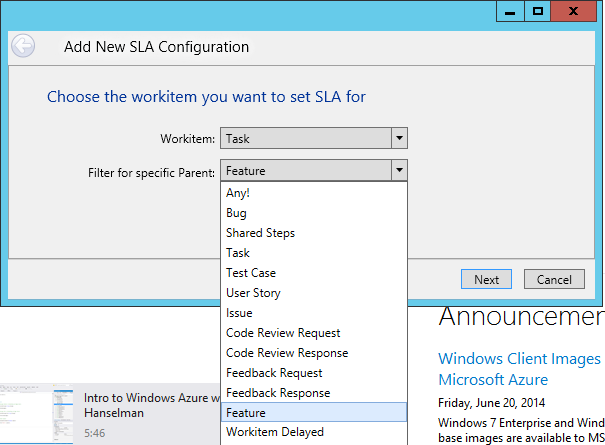 TFS SLA Extensions are based on TFS work items allowing you to flexible define the SLA based on Work Item information with the ability to escalate the work items violating the SLA using the default TFS work items queries and also allow TFS notifications to be sent by email for the items violated SLA. 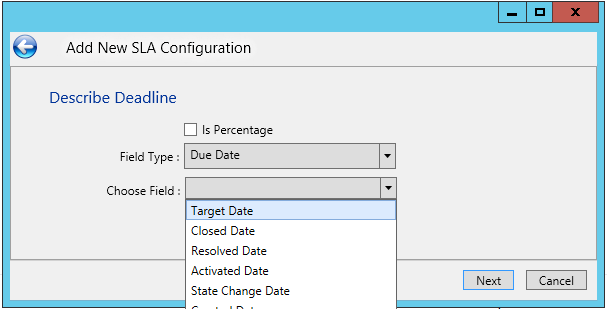 While allowing very flexible rules to define SLA, SLA rule are adhering TFS security by allowing only authorized team members to define, enable and disable SLA. 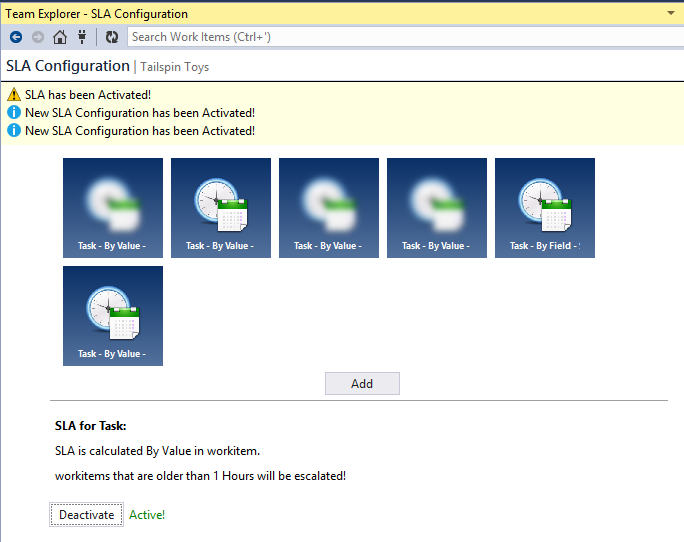 SLA is calculated By Value in Work-Item Work-Items that are older than 1 hour will be escalated. 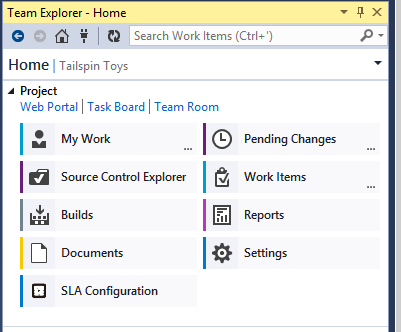 Filtering for Task with Feature and Priority equal to 3, SLA calculated by Value in Work-Item, Work-Items that are older than 3 days will be escalated. These rules are dynamic and can be set with wizards, and Enabled/Disabled later on. Ability to Disable/Enable Escalation rules. Works with any kind of Process Templates. New Delayed workitem is created on each violation which can then be used for Email Alert. Delayed workitem has full description on the reason for escalation.